Today, I have the pleasure of hosting Peter Dawes on the blog (who got some love on the blog yesterday via Noree Cosper). “As an indie author, I have the pleasure of knowing several very talented (and extremely underappreciated) wordsmiths. But if there was a writer who deserved a Pay It Forward feature the most, it would be my good friend Jessica Fortunato. Many of us have the pleasure of knowing enthusiastic fans, and brothers in arms who are gracious enough to bring others up into the limelight with them. Jess, however, has been both for me. 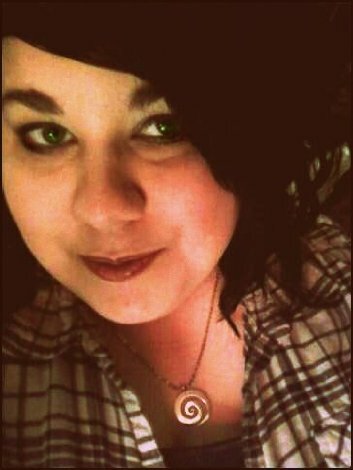 When she first got ahold of my Vampire Flynn books, her enthusiasm for the series made me smile inside; that sort of smile you get when you fulfill your purpose in this world as a creator. She provided two of the most honest and yet, passionate reviews I’ve ever received and was the first person to openly pay homage to elements of the stories I worked hard to convey. 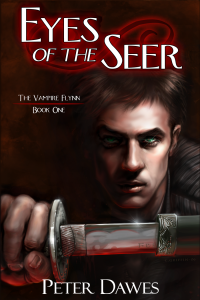 What’s more, her review of Rebirth of the Seer gave me an idea for a novella that my partner and I have started working on, centered on a minor character named Julian. I already have it planned to dedicate the book to her. But it isn’t just my work she gets passionate about. I’ve seen her highlights of other authors and you can tell how much she enjoys that simple art of reading. It’s been stated time and time again that we have the obligation to read as much as we write and while some of us have that down to a science, it’s been a lot more difficult for me. To see how much she simply relishes each story she’s reviewed has inspired a few book purchases and connected me with other friends. And subsequently inspired me to pick up her book, The Sin Collector. You might think, after the glowing reviews offered, my opinion of her book would be biased, but it’s not. She managed to capture me right from the start, and that love she has for reading translates into a beautiful experience in her own work. I can see her love for wounded creatures and that belief that the broken can find love wrapped soundly around an engaging plot. The wonder she continues to hold for the supernatural reminds me so much of someone who hasn’t let go of the childlike wonder we all, as wordsmiths, should struggle to hold onto. I can’t wait until she finishes with the sequel novel, because it will quickly jump to the top of my reading pile once it’s released. She also has a Sin Collector novella named Thomas and a short story titled “Steam”. I had the pleasure of being in a short story anthology with her, titled Nocturnal Embers and her story “Banished” has been especially praised by the people who reviewed it. She deserves a larger audience, if just for her amazing spirit, but her grasp of the medium makes her all the more worthy of higher recognition. So, Jess, I’m paying it forward to you. Follow her on Twitter and Facebook and pick up her books on Amazon. I promise you won’t regret it. Peter Dawes is the author of The Vampire Flynn Series, published by the micro-press Crimson Melodies. His serial story, “A Maker and His Child” appears on the BloodTideZine website and short “Lost Highway” has been featured in the Nocturnal Embers anthology, also by Crimson Melodies. While primarily a novelist, he has also written stories for the anthology Red Phone Box, featuring the work of fellow authors Warren Ellis, Dan Wickline, and more. Always working on something new, Peter leaves it up to the reader to decide if it’s by sunlight or candlelight. I have enjoyed Jess’ books since the Sin Collector and am waiting with bated breath for the second part of her trilogy. Keep them coming, I can’t wait. Thank you also to Peter, for his talent, his art of sharing that talent with us and for his praise of this fine author. Thank you all so much. This completely caught me off guard but made my day, nix that, entire month, better. You are all amazing authors but even better people. I have to say, although it goes in a bit of a circle, that of all the writers I’ve met Peter Dawes and Noree Cosper have been my biggest inspiration. I know them personally and I know how hectic their lives can be. Yet when I read their writing (which happens at a much faster pace than mine does) I am blown away. It’s easy to write in a quiet room with a cup of tea and a biscuit. But living with a family or roommates is a battlefield of epic proportions. I know it must be an enormous struggle for both of them, but they never show it. They inspire me to try and step around the land mines in my own life and work as hard as I can. Through the pain and the upheaval they shine. I will always love their work and adore their characters bc each character is the very best parts of themselves. If you haven’t fallen into their world, sprint to them immediately. You will be all the better for doing so.